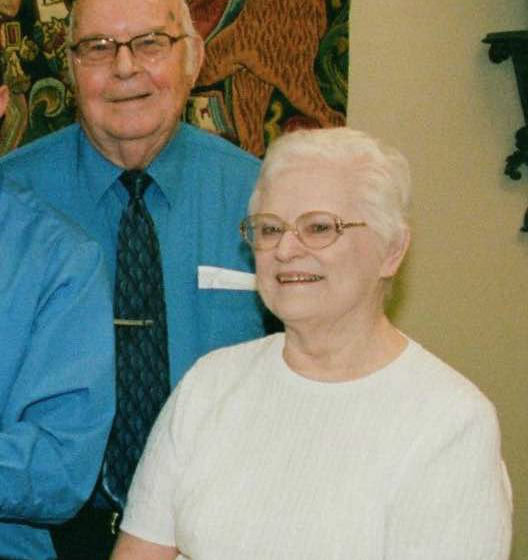 This morning, doctors told the family that the prognosis for Pat’s recovery was not good. The best-case scenario was still a long way from what Pat would have been comfortable living with. She was very adamant that she was not to be kept alive by machines, if there was no hope of returning to an aware state. “If I go into the hospital,” she frequently told Lee, “I walk out on my own, or not at all.” The damage to her brain was just too severe. This afternoon, family came to the difficult decision to terminate life support. Pat passed away peacefully, painlessly and surrounded by her family and friends at 7:00 p.m. A beloved wife, mother, grandmother, friend and co-worker, Pat will be greatly missed by all who knew her, and all whose lives were touched by her warm smile, her laugh, and her love. On behalf of Pat’s family, thank you all for your love, your prayers, and your offers of help for our family during this time. We will update this one last time when arrangements are finalized. Apologies for the lack of significant updates, but the truth is, we don’t have anything much to share on Pat’s condition. She needed a bit more oxygen help today than she did yesterday. The bruising on her face and neck, however, is noticeably improved. Her nurse today is a long-time friend of Pat’s daughter-in-law Kerin, so we know she’s getting the best attention possible. On the house front, most everything of importance has already been recovered. Tomorrow, a tree service will remove the trees from the house, and the rest of their salvageable belongings will be moved into a storage unit. After that, the house will have to be torn down, we learned today. Otherwise, we keep watching and praying. The family thanks everyone for the ongoing prayers and offers of help. We’re still waiting for Pat to wake up. She developed a fever overnight, which was treated. She’s experiencing some seizures — not uncommon after a brain bleed — but those are being treated with medication. There is plenty they don’t know yet about her condition. We just need her to wake up. We continue to watch and pray. Pat is still unconscious, off of pain and sedition meds, and we wait to see when she will wake up. She still has significant swelling around her head, that needs to come down as well. Pat continues to do well as they back her off the ventilator. She is breathing more on her own. She continues to squeeze hands, and has moved hands and feet on both sides. She will chew on her vent tube some, even. Elizabeth had to change the music station from classical to jazz at one point, after it looked like Pat was trying to sing along. All hopeful signs, but she is still in a very dangerous position. Family is able to see her regularly, hold her hand and talk to her. Hoping and praying for another good day tomorrow. Some good news to report: Pat is breathing more on her own than with the ventilator. She is now off of pain medication, and her blood pressure is still good, so she is not likely in pain. The meds keeping her sedated have been stopped, now we wait and see if she tries to wake up on her own. Lee got to see Max and Rico this morning, and they loved all over each other. Max continues to recover well. Not much to report this morning. Pat had a good night. We hope to know more about her next steps later today. One of Pat and Lee’s dogs, Max, also suffered serious injuries to his hind legs. He had surgery today. Happy to report Max is doing well. His little buddy Rico misses him, I’m sure. Family visited Pat in ICU today. She reacts to voice and touch, even moving her left arm and leg a little. Elizabeth played some classical music for her, and her blood pressure lowered. Doctors remain concerned about the blow to her head, but we won’t know anything until they try to wake her up, over a period of several days. We wait, we watch, we pray. Family was able to get into the house today and recover some personal items. On Sunday, January 22, about 3:30 p.m. ET, an estimated EF-2 tornado struck the Radium Springs area of east Albany, Ga. Pat and Lee Gohman’s house was not hit directly, but several of the large pine and oak trees in their yard toppled onto the house. 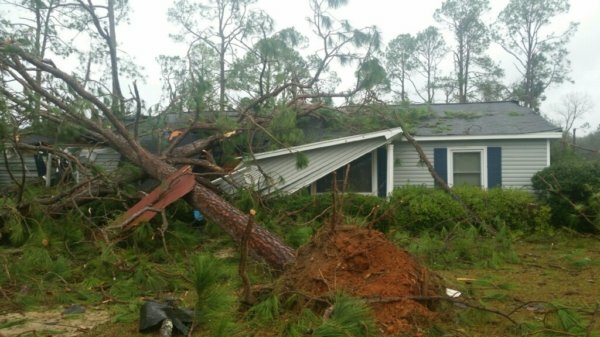 One of the large branches pierced the roof of the bathroom where they were sheltered, hitting Pat in the head. She was knocked unconscious, but still breathing, and suffered several injuries. EMTs reached the house quickly, and took her to the hospital. She was diagnosed with a brain bleed and rushed into surgery. The bleeding was stopped, but she has been in an induced coma ever since. Doctors are concerned about the extent of damage to her left frontal lobe. All we can do is wait, watch and pray right now. On behalf of Pat’s husband Lee, children Phil, Darrell and Elizabeth, in-laws, grandchildren, and all family and friends, we appreciate your prayers, your offers of help, your good thoughts and well wishes, but most importantly, your prayers. This post will be updated as we have news to share. How do I tag someone else? Our hearts and prayers go out to Mrs. Pat and all the family. We are praying for a full recovery and that God will provide strength and comfort to all during this time. Prayers for Pat, Lee and all of the family. I have requested prayers on Facebook from people in at least 5 different states that I know are prayer warriors. My prayer for all is complete healing and an extra measure of God’s love and grace in this time of fear and anxiety. Thanks for the updates. I have been 4 times to visit the family at Phoebe but have not been the right times yet. Our love and prayers, to Pat, to Lee… to the rest of the family. Darrin – it was good to chat with you (ONLINE) the other day. Becky sends her love. Thanks for keeping us posted. Praying for Pat and family. We love you Aunt Pat and our prayers are still continued for you and your family. Prayers! One of the teachers I work with knows her. Continually in our thoughts and prayers. Slow progress I think is better. Her body needs lots of time and rest to heal. So sorry to hear about Pat’s injury and her subsequent passing. You all were right to honor her wishes. I feel privileged to have met Pat; I enjoyed singing with her during my years in the Albany Chorale. I will be praying for Lee and for your family.